So why is this called the "Crossbow Slayings"? Brett Ryan, a 36-year-old Toronto man, today pleaded guilty to two counts of second-degree murder and one count of first-degree murder. Motive - Court documents show Ryan feared his mother would expose his lies to his fiancée. We first reported on the "crossbow slayings" last year. At the time it was not clear whether he actually used a crossbow in the murders, or whether it simply happened to be at the scene of the crime. Today we can report that Brett Ryan has pleaded guilty to killing his mother and two of his brothers. New court documents show how the murders was sparked by Ryan's fear that lies to his fiancée would be exposed by his mother. Ryan's lawyer provided an Agreed Statement of Facts which shows that Ryan was concerned that his mother, Susan Ryan, 66, would expose his lies to his fiancée and feared she would cut off financial support to him. Ryan had lied about graduating from university and having a job, although his fiancée was aware of his past criminal convictions. Ryan, 36, appeared in the Ontario Court of Justice in Scarborough in front of Justice McMahon this week and was sentenced to three concurrent sentences of life in prison plus a 10-year concurrent sentence for the attempted murder of a 4th person, his third brother. He has no chance of parole for 25 years. 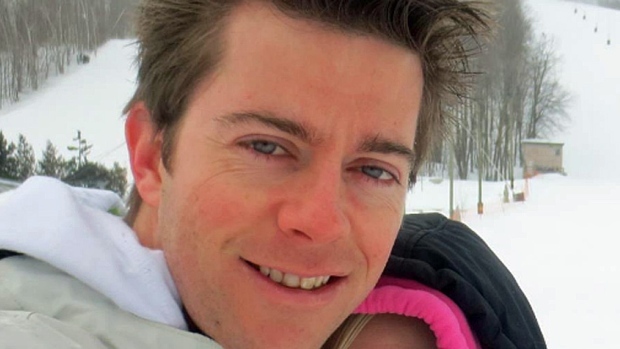 Days before the murders in August 2016, Ryan placed a crossbow in the garage of his mother's home near Markham Road and Eglinton Avenue East in Scarborough and set up elaborate devices at the Queen's Quay residence he shared with his fiancée meant to create an internet footprint while the crimes were committed - hoping to create a digital alibi for his location at the time of the murder. Neither of the devices were used however. Ryan has training in information technology and had previously lied to his financée that he was working in the field. A timer to a fan with an attached wooden spoon that would hit the Enter button on a laptop causing a series of videos to play on YouTube. An iPad and iPhone was setup to send emails on a schedule. Both used a similar setup where a stylus was attached to fans on timers which would send pre-written emails once the timer went off. On the morning of the murders, Ryan planned to confront his mother, but as the argument became heated his mother called Ryan's brother Christopher, age 42, to help, and Brett Ryan went to the garage to use the crossbow to threaten her. Ryan then stabbed his mother with a crossbow bolt — a short heavy arrow from a crossbow — in the garage and when that failed to kill her immediately, he strangled her to death. He did not actually shoot her with the crossbow bolt, he just stabbed her with it. Christopher Ryan arrived to find Brett in the garage. Christopher was then shot in the neck with a crossbow bolt and placed under a tarp with his mother in the garage. Another brother Alexander, age 29, soon arrived at the scene of the murders, whom Brett then stabbed with an arrow. Alexander escaped the garage and collapsed on the driveway and was later found there by police. The last brother Leigh, age 39, heard the fighting and went outside to see what happened, then he ran back into the house to call for help. Brett assaulted Leigh, attempting to kill him too, but Alexander was able to escape and run across the street for help. Brett Ryan was arrested outside of the family home, and his mother and two brothers were pronounced dead at the scene. The murders was not Brett Ryan's first criminal offenses. Prior to the murders, Ryan had been a bank robber in 2009 in an effort to pay more than $60,000 in debts he'd largely accrued in two romantic relationships, according to parole and bankruptcy documents. Ryan was later diagnosed with depression when he had psychological counselling during the 15 months he spent in jail and reports said depression over his debt burden was a large factor in the robberies. He would however later be described as a "model prisoner" who was considered to be a low risk to re-offend, before he was released on day parole in April 2010, Parole Board of Canada documents show. At the time of August 2016 murders, Ryan was just 3 weeks away from marrying his fiancée, which would have been on September 16th 2016. It is unclear exactly when Ryan met his fiancée, but it is believed the couple met before Ryan's parole would have ended. As a condition of his parole after the robbery conviction, he would have had to report the relationship to his parole supervisor, because the board considered a past breakup a trigger for the robberies. There is no indication in the parole board documents whether Ryan reported the relationship to his parole officer. Initially the public jumped to conclusions and assumed that Brett Ryan had killed his family with a crossbow - which is notoriously slow to reload. However as court documents and Brett Ryan's confession show, only one of his family members were actually shot with a crossbow - instead his choice of murder was attempting to stab them with a crossbow bolt and strangulation. Crossbows are rarely used in murders - about as rare as people being murdered with samurai swords or pencils. The problem is that when general populace hears the words crossbow and murders together, they immediately jump to the conclusion that crossbows were primarily at fault. A few years ago there was also a 2nd incident of a crossbow being used in a murder in a Toronto library, however the crossbow failed to kill the person and murderer ended up killing his father with a hammer instead. Crossbows are fairly common in books, films, television shows and video games - often with a plot stressing survival. An excellent example is "The Walking Dead", in which the character Daryl Dixon regularly uses a crossbow, in which the protagonists have to survive against hordes of zombies and dystopian societies led by villains. However films and TV rarely accurately show crossbows for how slow they are to reload. Crossbows have excellent range and power, but they are not the fastest of weapons. Historically, crossbows were more likely to be used in assassinations of royalty / nobility. As such many European kingdoms banned the crossbow and made it illegal for anyone outside of the military to own one, however because crossbows were relatively easy to make and took almost no training to learn how to shoot proficiently, crossbows thus remained an easy way for the general populace to get rid of tyrants they despised. The most famous case is that of the Swiss hero William Tell's assassination of the tyrant Albrecht Gessler, the bailiff of Habsburg. Gessler famously forced William Tell to shoot an apple off of the head of Tell's son or be killed by Gessler's men. According to legend, Tell later tracked Gessler's carriage and assassinated the tyrannical bailiff through the window of his carriage. While it was historically possible to murder common people with crossbows, we must also remember that they date back to a time period when people would also fight duels with their foes - thus if someone truly wanted someone dead it was common practice to simply challenge them to a duel. Thus even when crossbows were used for hunting and for war, they were still not commonly used for murder. This doesn't mean that crossbows were not used historically for murders, simply that they were not used that often when compared to other means.